June signifies the start of summer and for most people that means summer vacation. 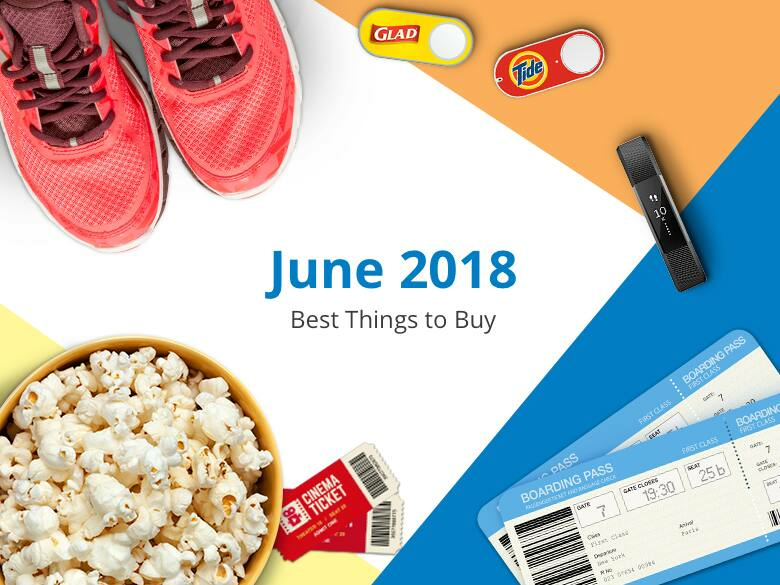 Summer means sales and savings and we mined our deal archives to give you insight on the best things to buy in June. If you're in a vacation state of mind, this is great news as this is the month to solidify your travel plans. We also expect to see deals on fitness, entertainment such as movies and video games, and goods to help spruce up your home. Summertime and the livin' is easy is the motto starting in June. Not surprising, one of our top categories again this year is travel deals. Last year, members took advantage of flight savings at Southwest Air with one-way flights from $49. WOW Air offered $90 one-way flights to Europe from several U.S. cities including SFO and LAX, and Jetblue via Orbitz had $134 round trip flights between Chicago to Ft. Lauderdale. Expect similar sales this year. Summer means working on that summer bod and that's a good thing with all the fitness trackers on sale this month. Last year, 53k folks jumped on the Pebble Health 2 HR Fitness Tracker at Walmart which was going for only $30. We also saw the Apple Watch Series 2 drop down $70 at Best Buy. Even if you're not in the market for fitness trackers, this is a great gift for Father's Day as most Dads really don't need another tie to add to their collection. We expect to see similar sales this year, so keep our Father's Day page bookmarked! The kids are out of school in the summer and this means finding ways to keep them entertained. We saw tons of movie and entertainment deals such as $5 digital movies from FandangoNOW, 12 free downloads of TV shows from iTunes, and 10 cent digital HD movie rentals from Amazon. Set a deal alert for movies and entertainment so you can avoid any meltdowns from the kids. And if you are going to the movie theater, make sure to tap into deals at the warehouse club stores. Costco carries 10 packs of tickets to most major theater brands, including AMC and Cinemark. A 10 pack of tickets will cost you $90, so at $9 per ticket, you're saving well under the average $13 box office price. Stock up on home goods this month and do it quicker with the Amazon Dash Wand that's compatible with Alexa. Last year, 15.7k folks purchased the $20 Dash Wand which came with a $20 promo credit. All you have to do is scan an item you need to reorder and Alexa will do the rest for you. We also saw huge interest in a 299-piece first aid kit from Amazon for $11.59. You never know when you'll need it, so it's best to be prepared.